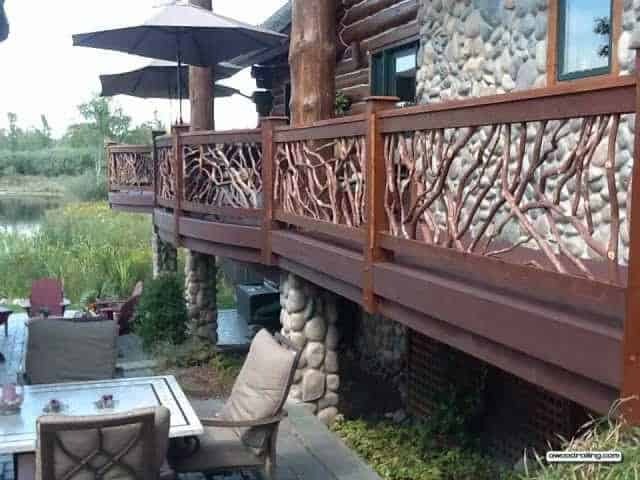 Mountain Laurel Handrail Installed on a Curved Deck! 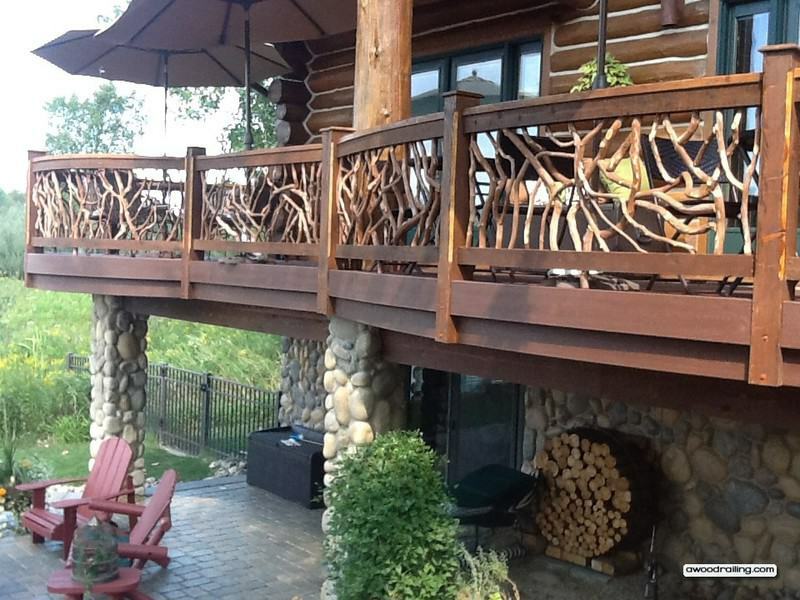 This curved deck railing project was a labor of love for the our crew. 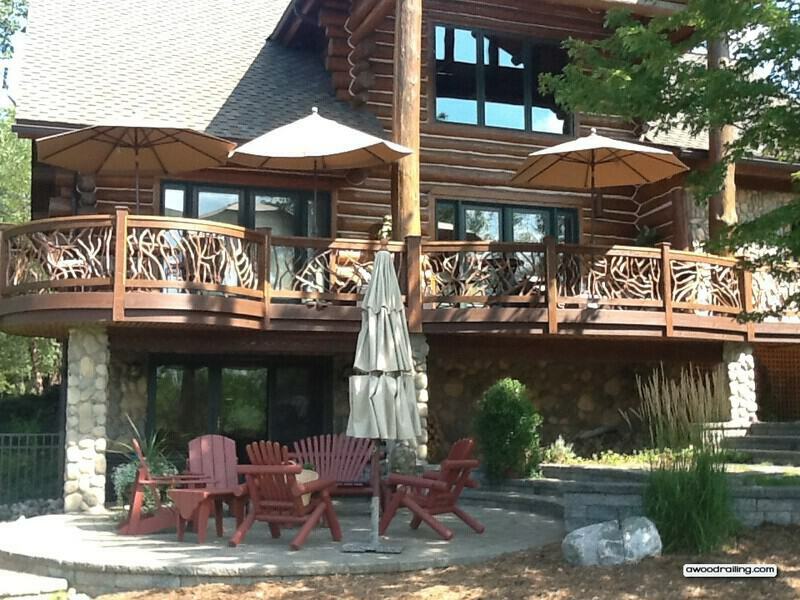 The home’s beautifully curved deck and majestic log framing required the best deck railing available. There are two curved sections which each required a special jig for bending the cedar 1×4 lumber and another jig for building the sections. The carpenters had to use a stool while working on the more strongly curved section on the workbench. Each curve on the deck is just a piece of a much larger circle. Through careful coordination with the onsite contractor, the finished result is an incredible curved handrail! Each curved portion of the deck had three sections of railing for a total of 24 bent 1x4s. The section with the more gentle curve has three inches of arc in six feet while the stronger circle has eleven inches of arc over seven feet. Cedar was chosen as the lumber for this project because it is weather resistant and also soft and (relatively) easy to bend. We’ve done some projects in ipe, a Brazilian hardwood, and oak and it would be impossible to get this kind of curvature out of a hardwood. 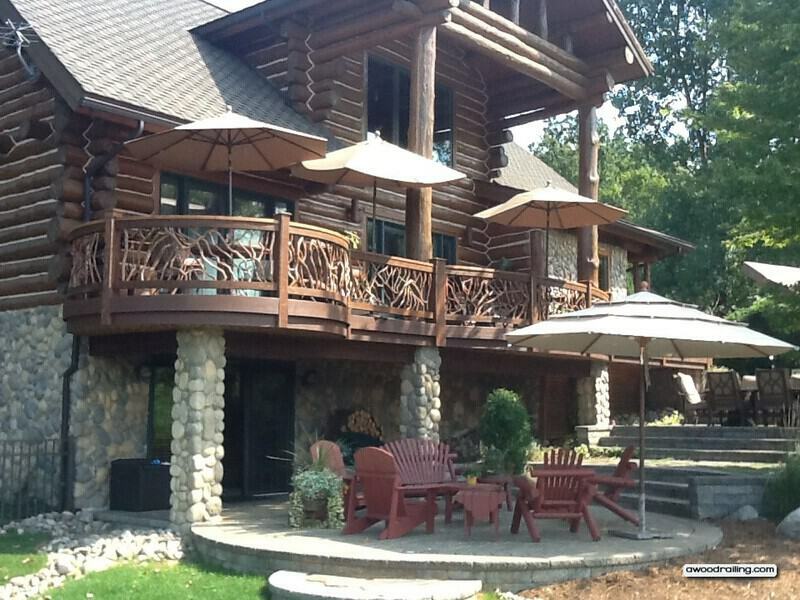 I don’t even think that we would have gotten similar results with a softwood like spruce or pine. 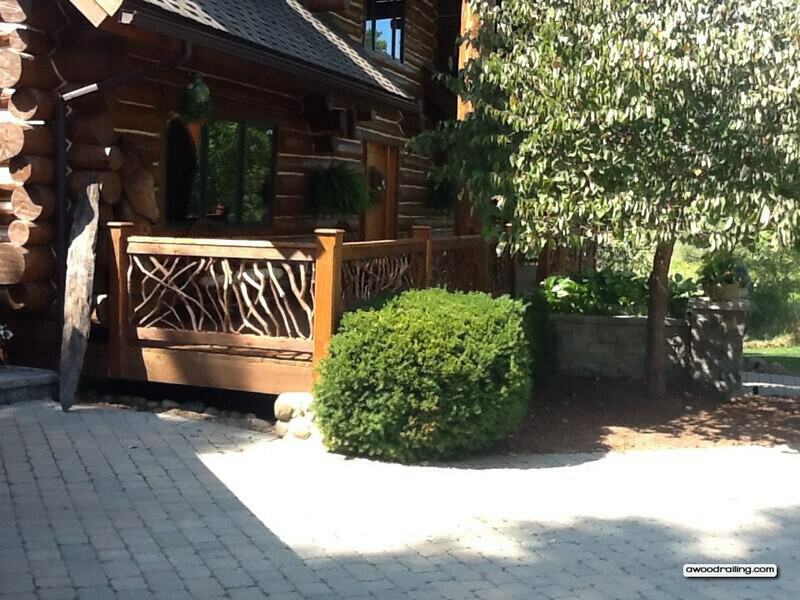 The front porch of the home also has Mountain Laurel Handrails installed. Contact today for more info!